Presented and hosted by the Alliance for Quality Education and the D6 Night Market Team, the Silk Road team is proud to be part of the team for the fourth year. The 4th Annual D6 Night Market will be a FREE family-friendly public event and it will take place at the Mira Mesa Community Park on Saturday, May 19, 2018, from 4:00 pm – 10:00 pm. More social event than shopping trip, a night market is a blend of sights, sounds, smells, and tastes. Night markets, which are a popular tradition throughout Asia and other parts of the world, are an open-air casual social gathering and fill a need for civic community. They are a chance to leisurely stroll, shop, and eat while enjoying the excitement and pleasure that comes from being part of a festive crowd. 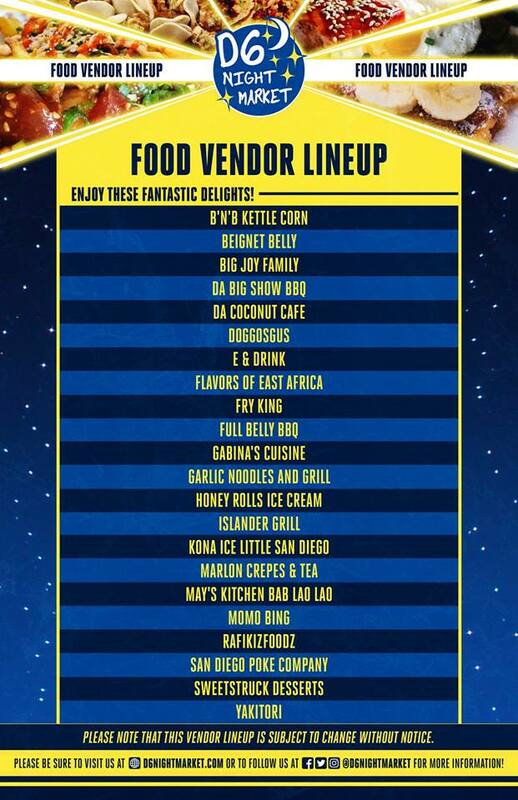 D6 Night Market, named for San Diego’s City Council District 6 (“D6”), one of the most culturally diverse district in San Diego, will have all the elements of a successful night market including a mix of food and beverage stands, vendors, and entertainment. And the fan favorite Laser Light Show will be making a come back in 2018! All participants in the entertainment line up and vendors listed above are subject to change without notice. This community event will take place in Mira Mesa at the Mira Mesa Community Park. Alliance for Quality Education and the D6 Night Market team will be welcoming to all of our past visitors and new friends coming for the first time! 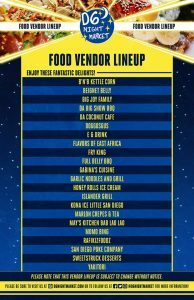 More information is available at www.d6nightmarket.com!